COLORADO SPRINGS, Colo.—An American astronaut experienced multiple biological changes in space but returned to normal—with some exceptions—after coming back to Earth, according to a study involving twin brothers that shed light on how space flight affects the human body. In research published on April 11, scientists compared Scott Kelly to identical twin Mark Kelly after Scott spent 340 days in orbit on the International Space Station and Mark remained Earth-bound. Both are now retired as NASA astronauts, and Mark is running for a U.S. Senate seat in Arizona. 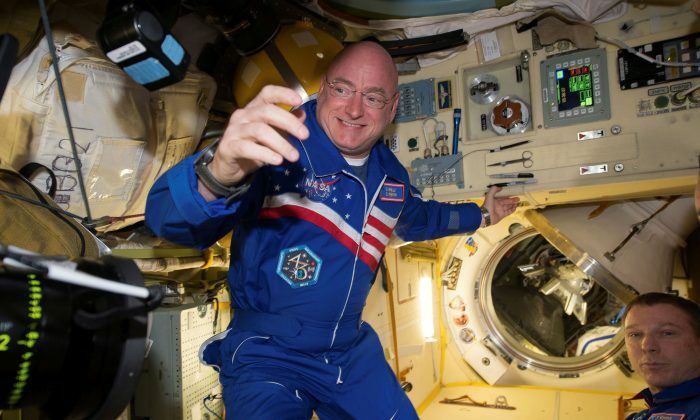 Scientists noted changes in the expression of Scott Kelly’s genes while in space, with most—but not all—returning to normal after six months back on Earth. A small percentage related to the immune system and DNA repair failed to return to normal, however, indicating potential lasting damage at the genetic level. Researchers are planning another years-long study to build on the April 11 results. “Put me in coach, I’m ready to go,” Scott Kelly joked.